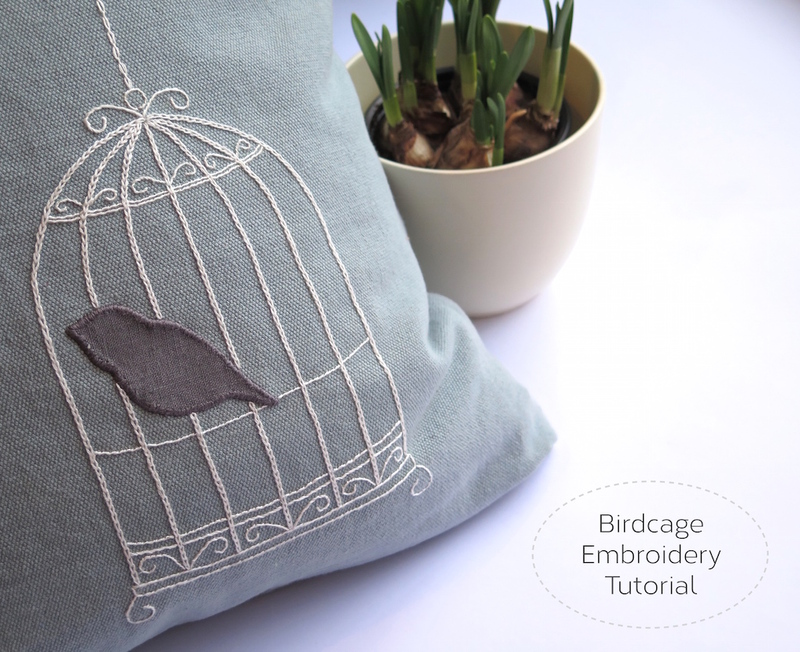 Springtime Sewing – Birdcage Embroidery Pattern! I finished sewing this just before Christmas, surrounded by tinsel and baubles. It seems to me, however, that this would make a lovely springtime project. The little songbird looking for the signs of spring. I drew what felt like a thousand different cages and a thousand different birds in my quest to find the right ones and for a long while I struggled with the bars. It just didn’t seem right, seem hopeful enough, for this little bird to be trapped behind bars. I wanted a home for him to return to, a sanctuary not a prison. But then I can be overly sentimental at times. So without further ado here’s the pattern for you to download, use and take flight with. There’s also a further pattern which has the bird separate from the cage in case that’s at all helpful. 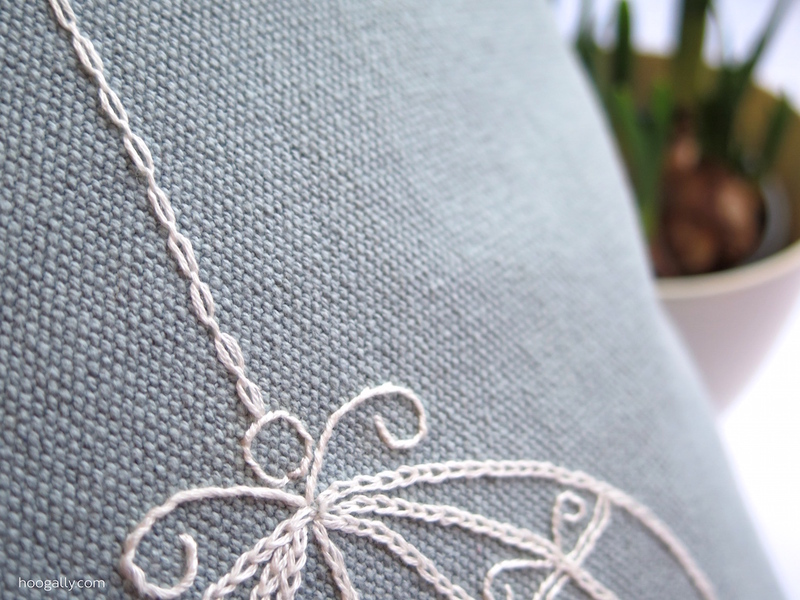 It really is a simple pattern and easy to adapt to the stitches that you know and love, should you prefer that. The process for sewing this design is the same as for my scandi-style embroidery pattern, so check that tutorial out if you want a more comprehensive guide. This pattern is life-size for my cushion but you might want to resize it to suit your needs. The eagle-eyed among you will notice the absence of a hanging chain in the template itself. I find that long straight lines can so easily seem wrong to your eye even if they are technically ‘right’ or straight. So I’d suggest that, once the rest of the pattern is committed to stitch and thread, that you then get out your ruler and play around with the positioning of the chain. Keep going until you find the right place, the position that looks ‘right’ to you and your creation. 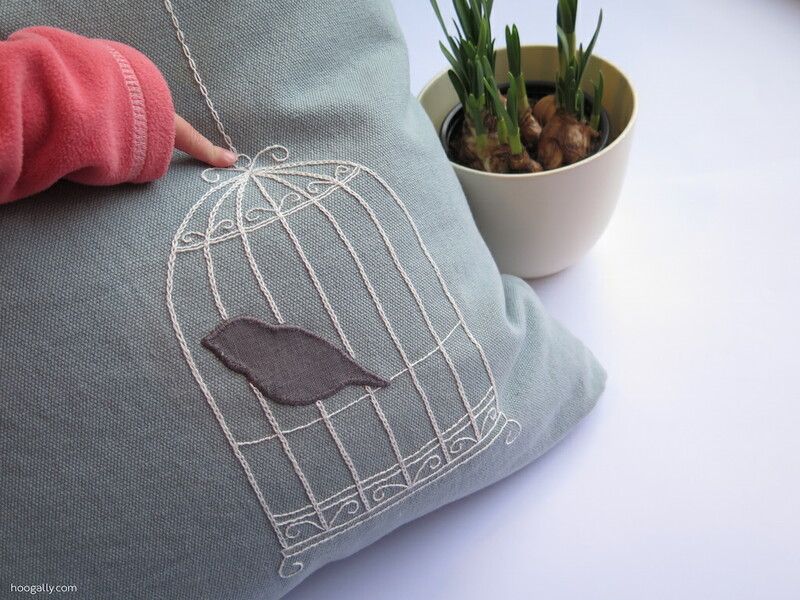 This design uses a mix of embroidery for the cage and applique for the bird. Now if you’re a newcomer to this sewing lark, don’t let the word applique scare you – it just means attaching a fabric shape onto another piece of fabric. 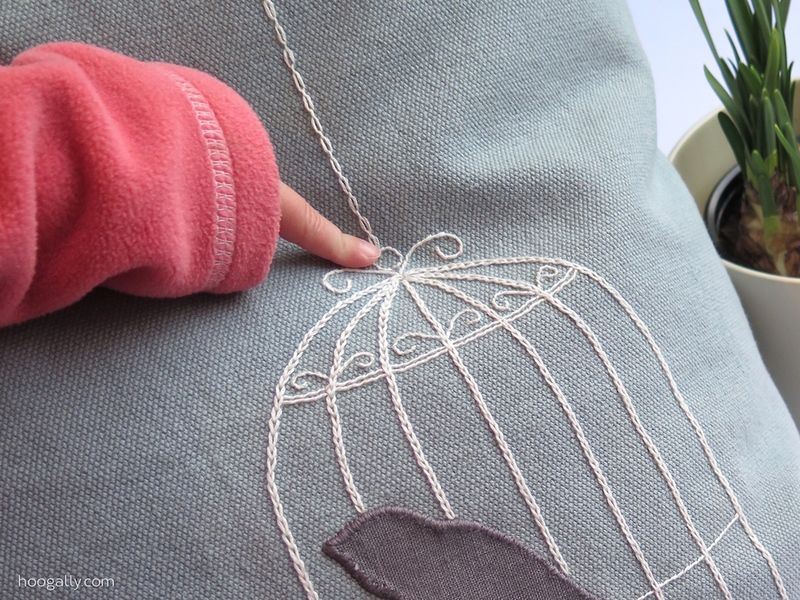 In this case, attaching the grey fabric bird onto the fabric of the cushion cover. I’d recommend starting with the bird because it’s the centre of the design. I chose to attach the bird by just folding under a little of the fabric, a little bit at a time, and then sewing along the edges by hand using satin stitch. If that’s not your cup of tea, then you could attach the bird with some fusible bonding fabric and maybe a simple backstitch, or machine sewing the shape on. As ever, there’s always the option to shake things up a bit and just embroider an outline, maybe in a contrasting colour. 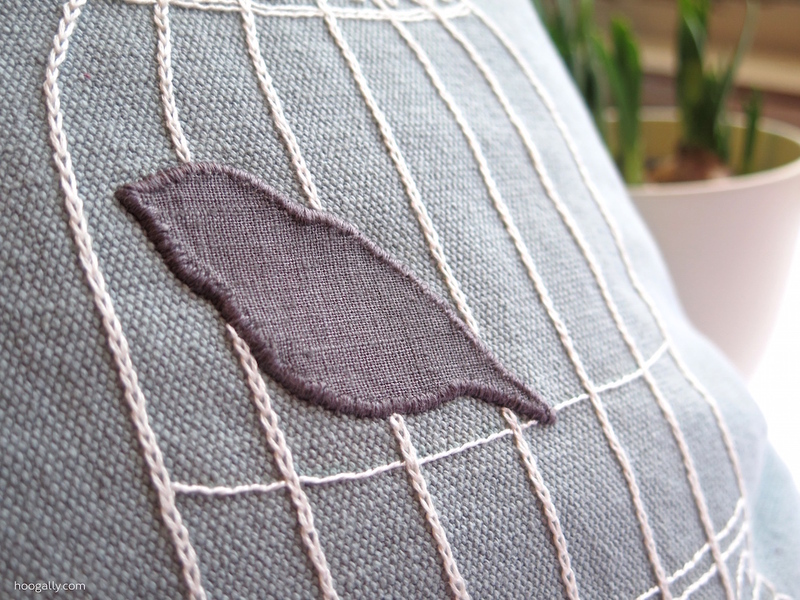 The birdcage is sewed with a mix of chain stitch and whipped back stitch. As with all of my designs, this is intended to inspire you rather than pin you down, so if you want to use different stitches then that’s great too. Now, as I said before, I think that you want to do this last and check that it looks right to you. If its a cushion or pillow case, maybe put the inner in it to double check. Better to spend a few extra minutes now than have to re-do it later. I wanted to try something a bit different for the chain and found cable chain stitch in an old embroidery book lurking on my bookshelves. I’d never used this stitch before and, although it’s a bit fiddly initially, I’m really pleased with the effect. That said, chain stitch or a simple backstitch would also work. 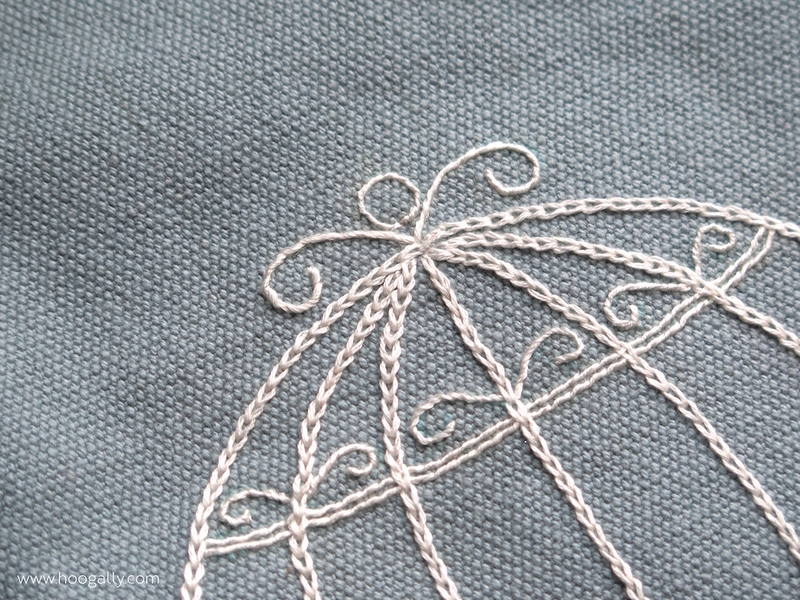 I haven’t done a ‘How-to’ guide yet for cable chain stitch. It’s quite a specific sort of stitch and there are guides out there online. It is however a lovely stitch, so if you want to use it and want a bit of help then drop me a comment and I’ll happily knock up a ‘How-to’ guide with illustrations. 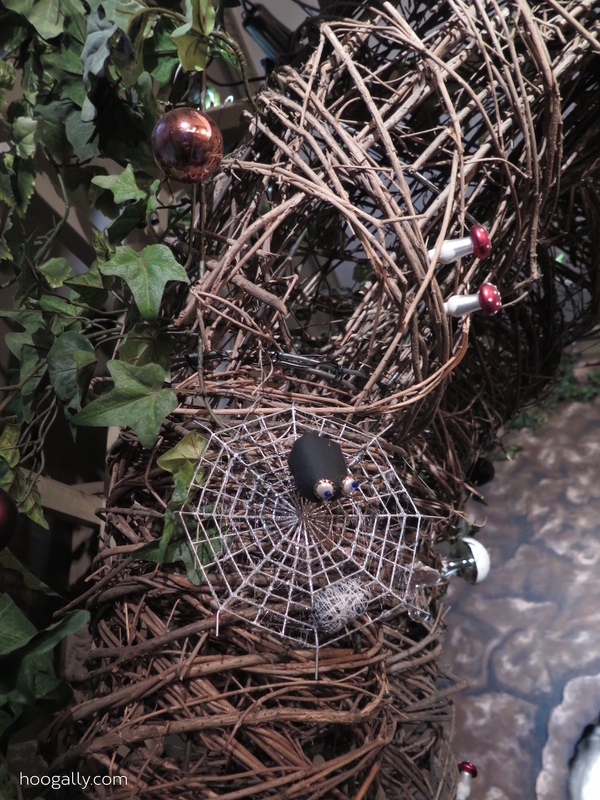 And there you go – ta da – your very own bird and cage. As you can see, my little pattern lives on a plain cushion cover. I think it might look good on a simple leaf or flower patterned fabric but it just needs a little care to ensure that the pattern doesn’t distract from the embroidery. And don’t feel constrained to a cushion. If I had the time, I’d love to do a repeating pattern of these on a plain duvet cover. 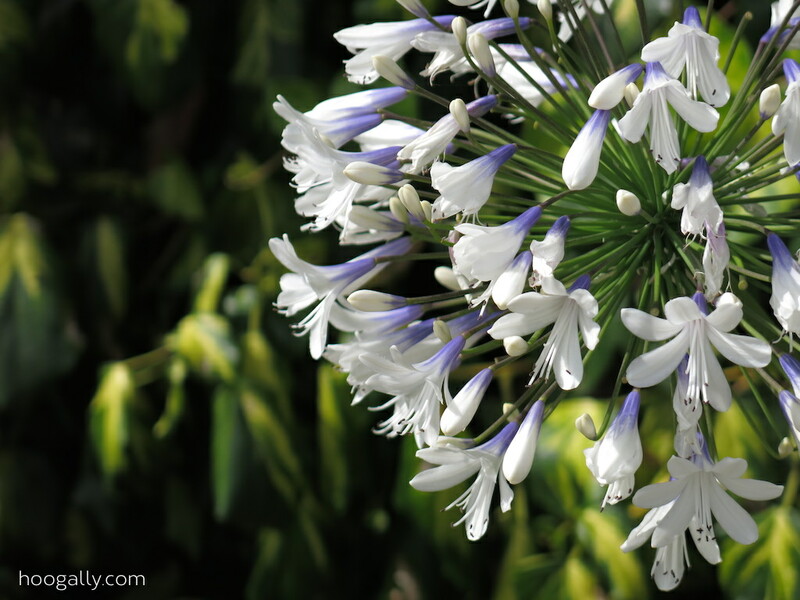 Wherever you place it, I hope that it cheers up a corner of your home and brings you joy. As the title suggests, we’ve had a bit of a bumpy start to the year. I saw in the new year with a bout of flu, and we’ve since succumbed to a stream of tummy bugs, colds and general malaise. I started to suspect that it was a little more than a cold when, as I lay in bed, I found that I couldn’t muster up the strength to make anything. Thankfully we’re all on the mend, but it has delayed us embracing the new year with our usual enthusiasm. I’m still getting up to full strength which, while frustrating, has allowed me the space to draw up a pattern for a project that I finished just before christmas. I’ve still got a few tweaks to do but it should come out to play within the next week. And the Pumpkin would like to point it out to you, in case you were wondering. In the meantime there was a snow day, much to the Monkey’s excitement. 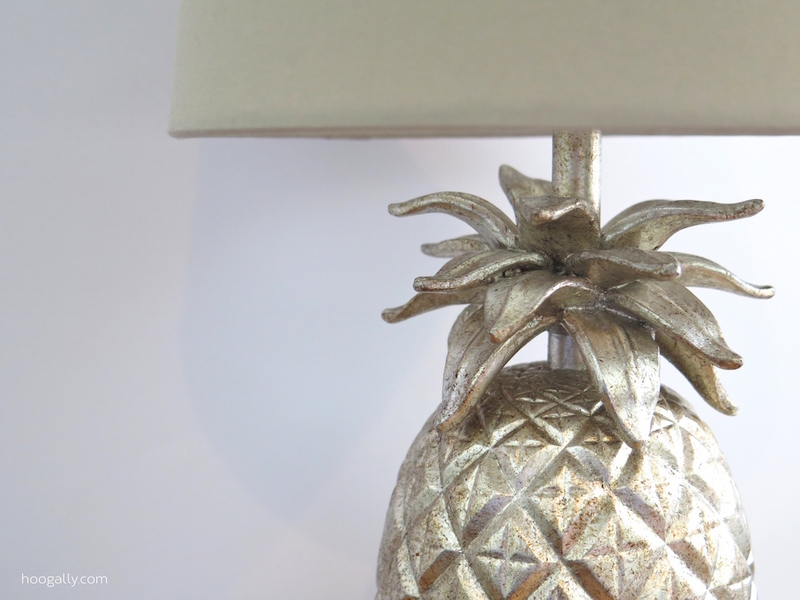 And I finally found a pineapple lamp that I liked, much to my excitement. I like the base much more than the shade and so one day it might be replaced, perhaps by a shade in a brighter, more zingy sort of colour. Maybe an acid yellow, or rich teal blue? But there’s no rush, for now it casts a lovely light and warms my heart in equal measure. I’ll be back shortly with my new pattern. I have a sneaking suspicion that the length of time that it takes me to finish this off will be inversely proportional to the number of snow days that we have. This post was meant to go up yesterday, and was meant to have pictures and suchlike. Unfortunately the Little Pumpkin and I are marking the new year by being ill. Some posts I can discard, but when I share part of my journey it feels disloyal to abandon the post due to an absence of pictures. So please accept my apologies for the lack of illustration. And so as we come to the end of the year it occurs to me that exactly a year ago Mr Hoogally and I decided to invest in our family more. For us, that took the form of me giving up work to be at home full time. About this time last year the idea really started to take the form of something Quite Serious. It became not only an idea that might possibly be viable but also something that we really wanted to make work. The next adventure for our family. It took a few more hoops to jump through, some paperwork to sign, bits and pieces, but this point a year ago was the pivot point, the point when your legs tense up just before you start sprinting, the point when the direction of the sea saw changes. This time, a year ago, was the time that our hearts jumped, even if the rest of our lives took a month or two to catch up. Since then, over the course of the year each event, each festival has been seen through the lens of the first one since I’ve stopped working. And so this moment, right now, feels like a milestone in itself. Because this marks the end of that first year the end of all those “firsts”. It really marks the beginning of the permanence of our decision. There are no plans at present for me to dust off my suits, no route map back to the career ladder and no idea of the direction our path it will take. There have been challenges – we’ve had to rethink how we choose to spend our money; what matters and what doesn’t matter so much. We’ve had to sacrifice certain things like the luxury of a second car. I’ve had to grapple with the old chestnut of ‘how do you find rest when your home is your workplace’. No way of life worth living is without challenge. But it’s my blessing to live in the present, unburdened by the need to carry future plans, allowed to dream dreams but not be bound by them and, most importantly of all, to be privileged enough to be a first hand witness to my children growing up, to be their supporter from the sidelines, to be their guide, their encourager and their sanctuary. I know that family life is unique to each family, but this is how ours looks. This is our dream for our family. This is our adventure. So, as we pause on the edge of a new year and all the excitement and adventures and challenges that this new year may hold, I’d like to take the opportunity to wish you a year that sees you dreaming bigger dreams than ever before. It’s not unusual to find me furiously working away on a hand made gift or decoration on Christmas eve. Our first Christmas eve together saw me finishing off some simple stockings late at night. It was, after all, too great a risk that presents might not appear without a suitable receptacle for them. Since then we’ve had a stream of hessian hearts, gingham stars, and an array of presents all feverishly completed late in the day. But, as I look at the decorations or remember the smiles of a friend receiving a gift made just for them, then I know that it’s all worthwhile. In fact, I positively recommend it. Consider it a triumph of optimism over time constraints. And so, when I needed a present for a friend who had previously admired my scandi style embroidery I wanted to make something on a similar theme. And thus, my scandi style Christmas hearts were born. They’re not complicated or fancy, in fact the materials used are particularly humble and normal, but I like to think that their simplicity brings a certain charm. The particularly observant among you will notice that, although not identical, the bird in the heart certainly is a close relative of the little guy who resides on the cushion in my home. 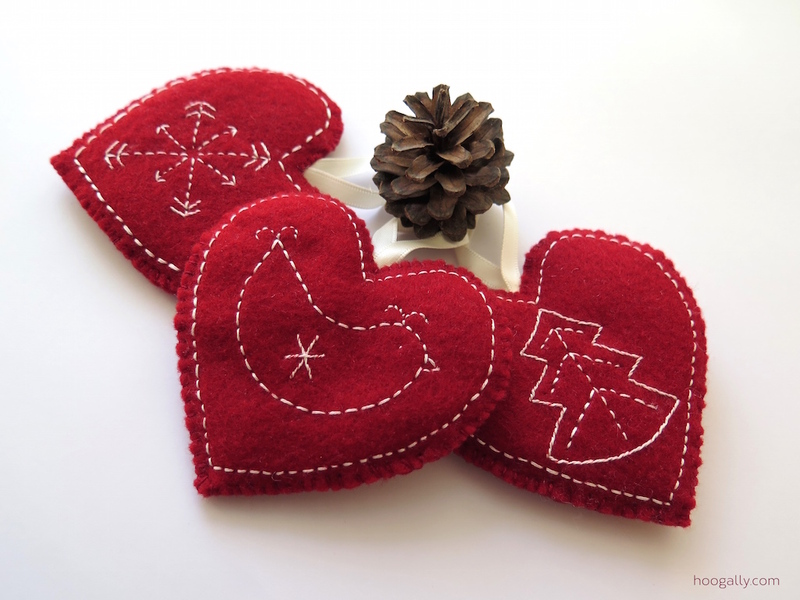 So if, like me, you don’t want to stop sewing when the decorations go up, or if you’ve got a taste for making your own decorations after giving the nativity bunting a go, then here’s how to make this little trio of hearts. 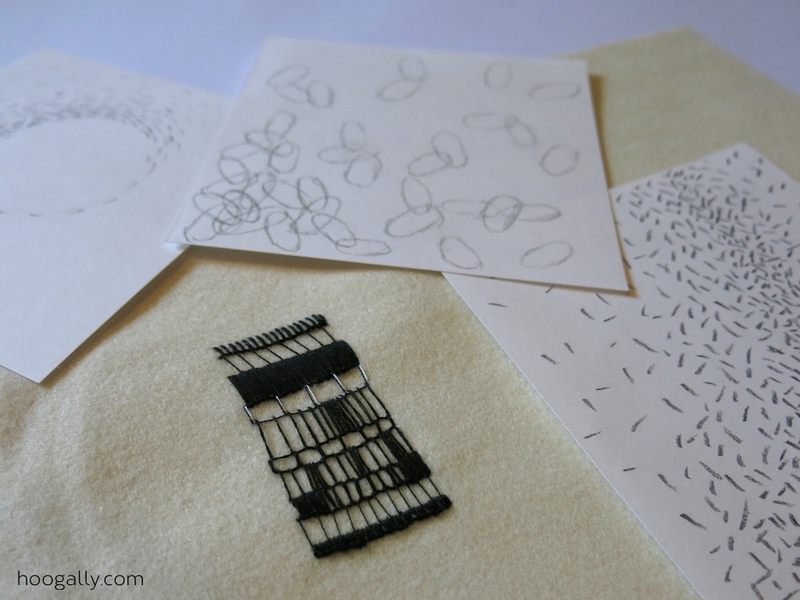 All you need is some felt, ribbon, embroidery thread and of course, the patterns. So, here are the Bird and Snowflake patterns, and the Christmas Tree pattern. They are made up in the same way as the nativity bunting characters and so I’ve kept the description here brief. 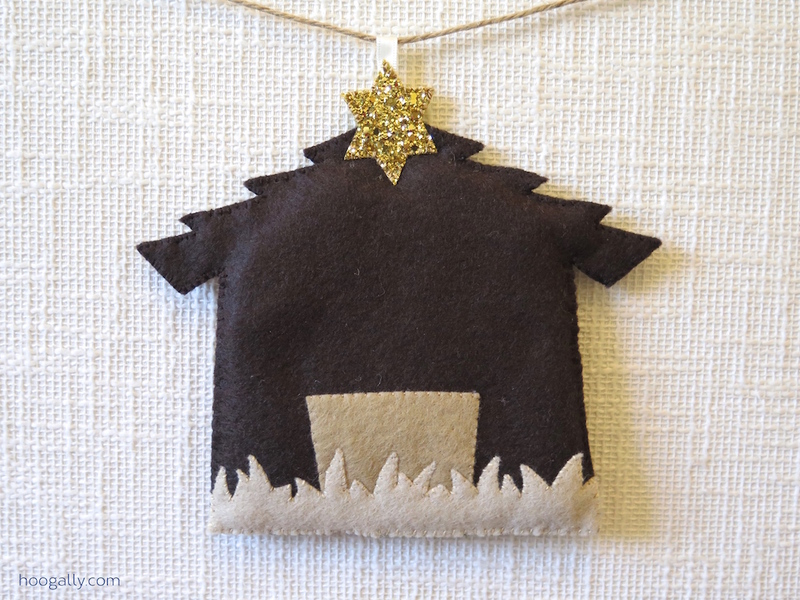 If you want more guidance then I’d suggest having a peek at the nativity bunting tutorial. The stitches that I have used for the embroidery design are a simple running stitch and whipped backstitch. Feel free to change these to your stitch of choice. As this is felt, there’s no fiddly turning inside out so just place the felt shapes the way that you want them to face when the decoration is completed. 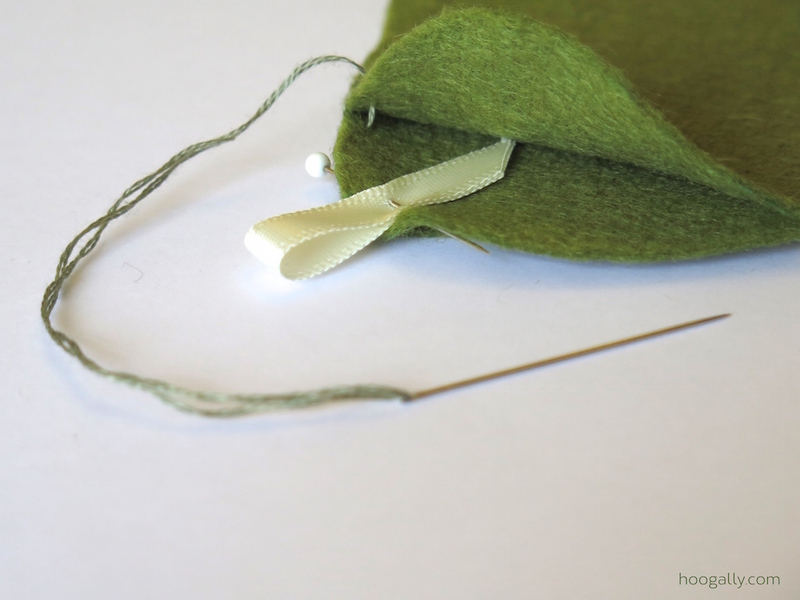 Remember to place the ribbon at the top, between the two pieces of felt, in order to make a hook for your decoration. If you’re not sure how to do this, there’s a photo here that will hopefully help. I used whip stitch to join the two shapes together. If you’re stuffing the heart, then stop sewing the pieces together when you’ve got about 5cm left un-sewn. Don’t finish off in any way, this is just a brief pause. Now I padded my decorations out with a little leftover wadding from a spot of quilting I did a few years ago. That said, a modest amount of stuffing would be more than suitable and, if your felt is thick enough, then the stuffing can be left out completely without fear of repercussions. Once the decoration has been stuffed, then its time to pick up your needle again and carry on sewing around the edge of the shapes until they are completely joined. And congratulations, that’s it! 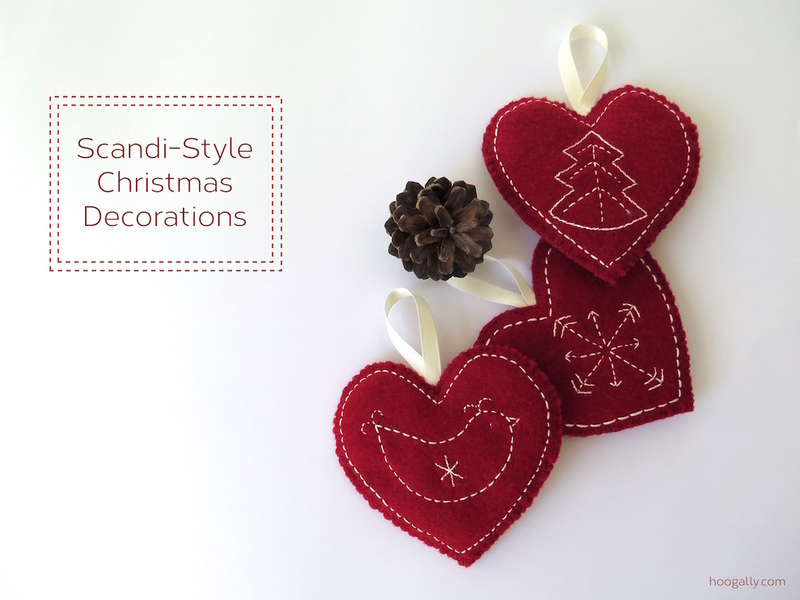 You are now the proud owner of your very own scandi style christmas decoration. So where will these three end up? Is there a gap on your Christmas tree? Are you feeling more ambitious and have hopes of a long line of these running up your stairs? Alternatively if they aren’t stuffed then they could make a really lovely gift tag for a special present. 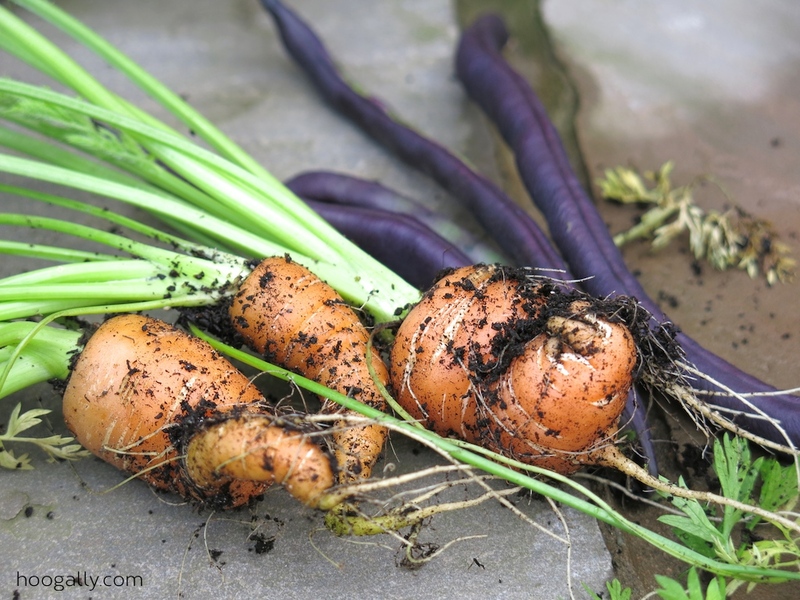 Or fill them with some dried lavender or herbs to fragrance a drawer or room? The sky’s the limit! You really can whip these up in no time and, in fact, I think that these would be perfect to make on christmas eve, maybe with some carols playing in the background, the gentle flicker of candlelight and a sustaining mince pie. I’m pretty sure that you won’t be the only one. In fact I’d go so far as to suggest that there’ll be one fellow Christmas eve crafter, at least here in the Hoogally household. Well folks, I’m afraid there’s no denying it, there’s definitely a hint of Christmas in the air. Maybe not full blown sleigh-bells-ringing-holly-and-mistletoe time, but there’s definitely a whisper of mince pies and gingerbread starting to appear. Or maybe that’s just the lack of self control that more than one member of the Hoogally household has around christmas food. Now every family has its Christmas traditions and the Hoogally household is no exception. 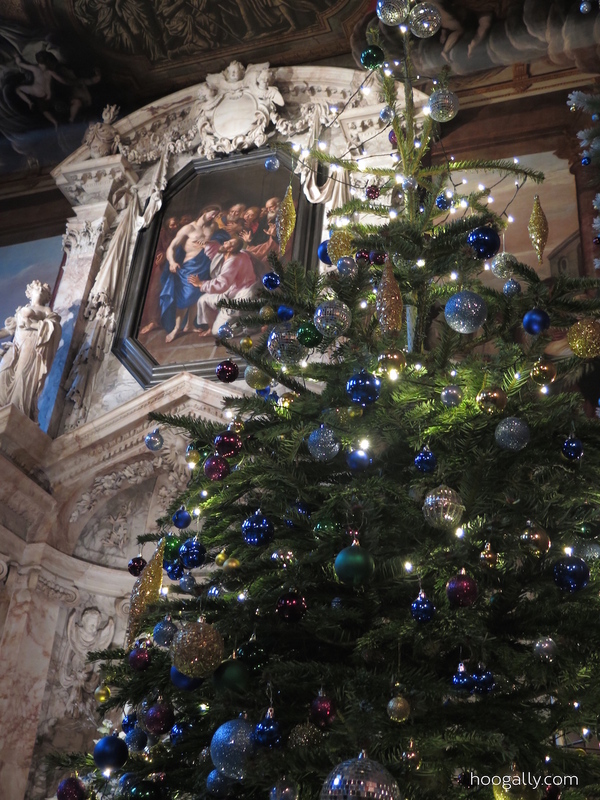 In amongst trips to choose the tree and new pyjamas is our visit to Chatsworth House to see their decorations. 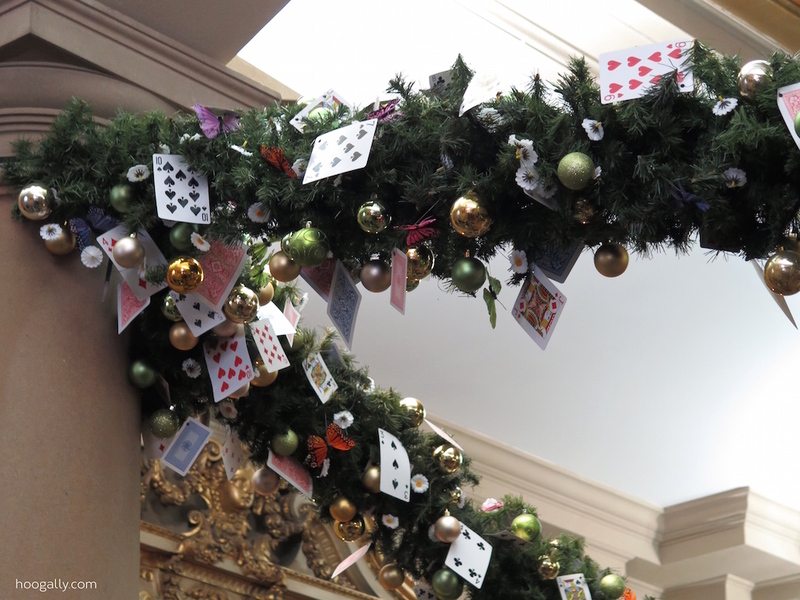 Each year’s decorations are on a different theme. Previously we’ve been treated with trips to the world of Pantomime, the magical kingdom of Narnia and a celebration of carols. This year we travelled through Wonderland with a girl called Alice. 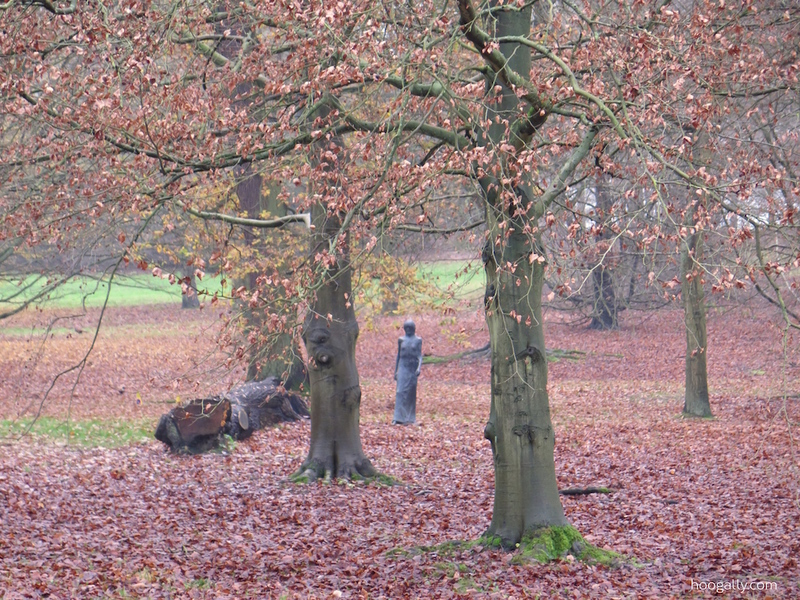 After much deliberation (rivalled only by the annual ‘how early can you buy a tree so that it will still be chirpy and bright on Christmas day’ debate) we decided that this was ‘The Weekend” and so off to Chatsworth we went. Now we’ve been spoilt by years of breathtaking decorations but I will admit this year is not their most festive one. 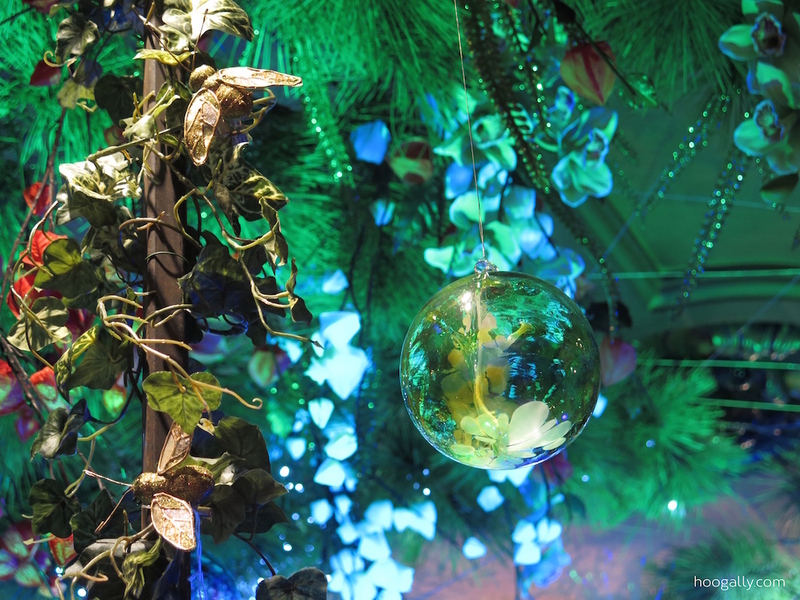 That said, the decorations are magical, entertaining and fantastic with just the right (and necessary) hint of the surreal. The Monkey and Pumpkin loved every minute of it and wanted to go back in so it was clearly a hit. I don’t want to spoil it for anyone going and so here a just few hints of what you might see. You can however rest assured that the main attractions shall remain elusively secret for you to discover. After all, isn’t the joy of surprise one of the best parts of Christmas? 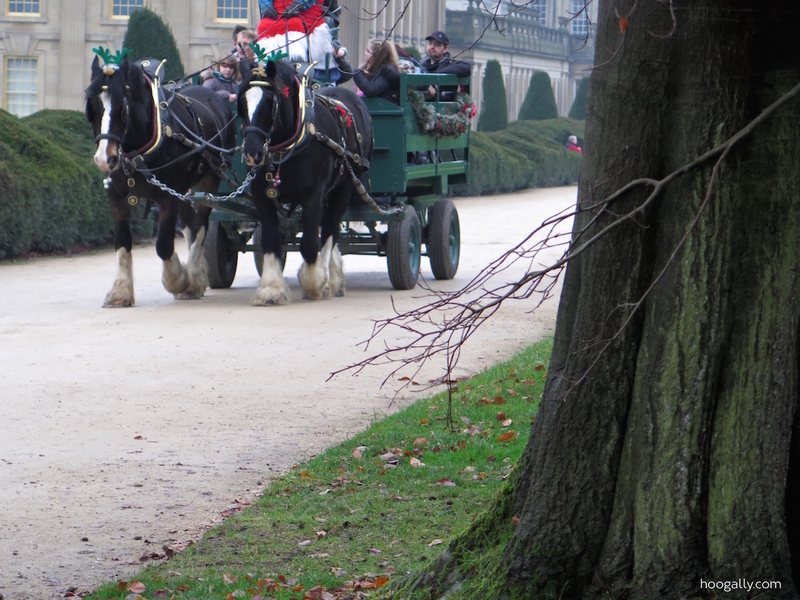 Once outside we were treated to carol singers, brass bands and festive horse and cart rides. And scenes that you want to breathe in and keep in your heart as an antidote to those less peaceful, less perfect moments. Of days like these, are memories made. 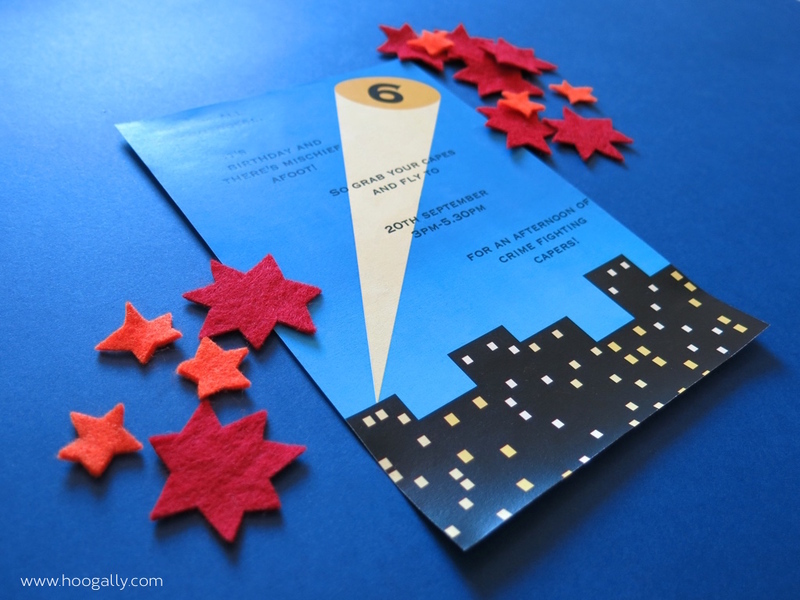 Some of you may remember that, back in May, I took part in a craft tutorial link up. In essence, lovely bloggers across the internet beavered away to make something fantastic and then left a trail of breadcrumbs so that others could follow in their footsteps to make similar items. I designed a Scandi Style embroidery pattern for a cushion cover. Well, there’s another crafty link-up and this time we’ve all been getting in the Christmas spirit. 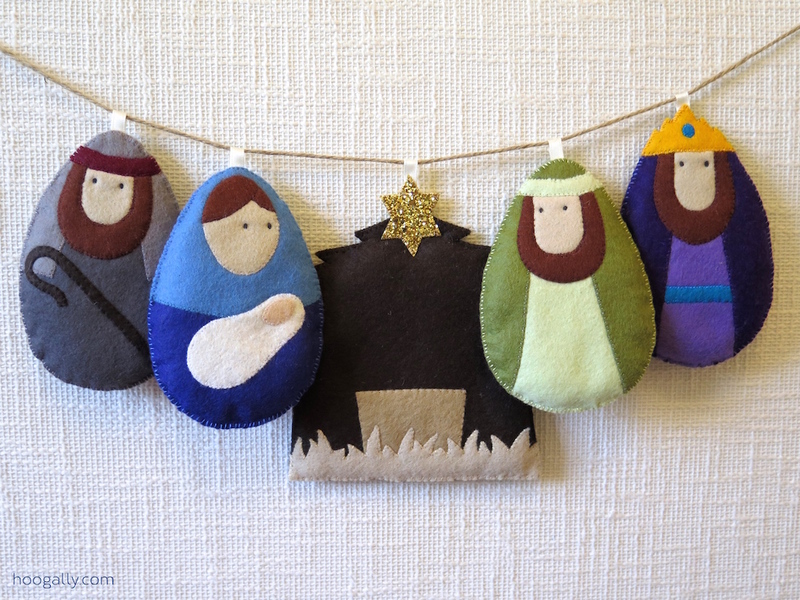 My contribution is a handful of felt nativity characters ready to brighten up your mantlepiece. 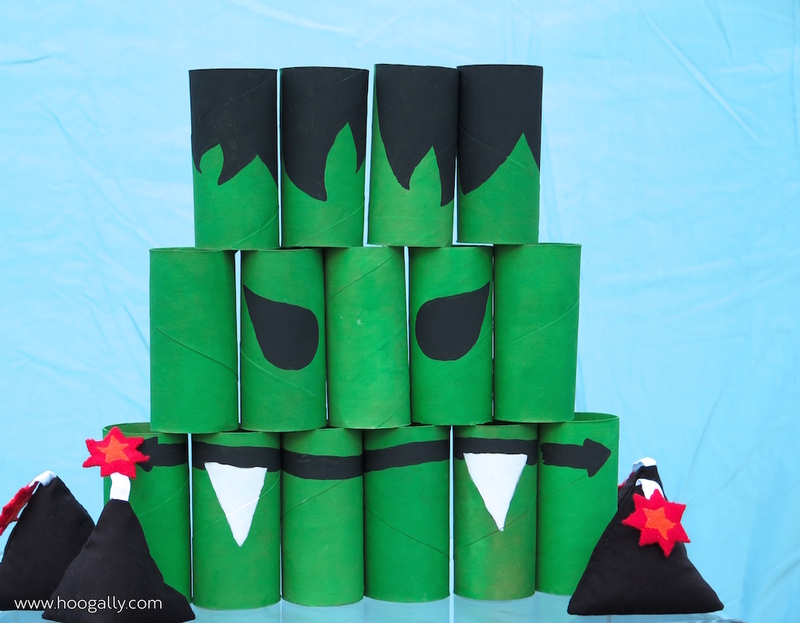 They’re really fun to make and you’ll be able to dash them off before you can say “ho, ho, ho”. 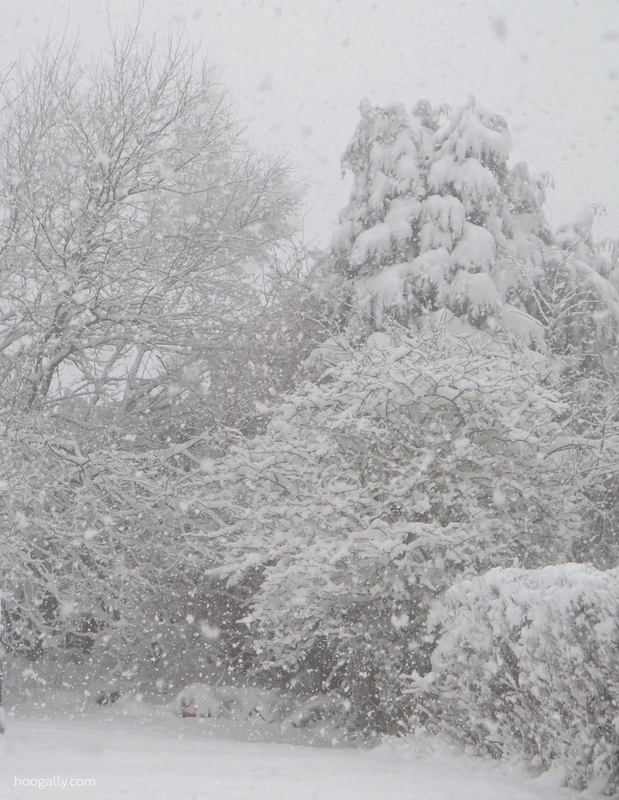 Well… maybe not quite that quickly but certainly in plenty of time to use this year. 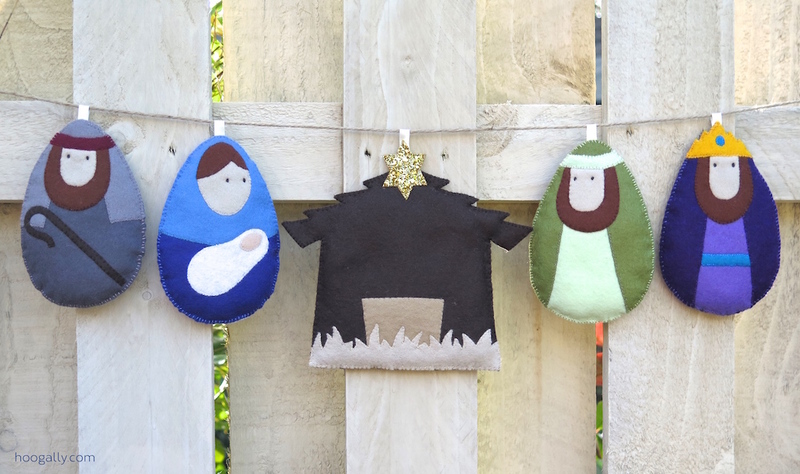 Now its just a few simple steps before you’ll have your very own nativity bunting. As I’ve done previously, if you’re a dab hand at this sewing malarky then the headings of my instructions will be more than sufficient to guide you towards a completed nativity figure. If, however, you’re a little newer to the world of sewing then I’ve added a bit more detail, and some hints and tips, in the hope of making things a little clearer. No matter what your level of experience, your starting point is the templates for these guys. 1. Cut out the felt pieces. There are really two options here, both of which start with cutting out two egg shapes in a colour of your choice. If you’ve moved onto making the stable, then there are obviously no eggs in the stable. Well unless there’s a rogue chicken, hiding behind the manger, that I’ve failed to notice. So just cut out the stable shape instead as your base shape. Then, you can either cut out the shapes as they appear on the pattern, or layer the shapes up. I chose the second option, and have tried to explain it in a bit more detail below, using the Joseph template pieces. 2. 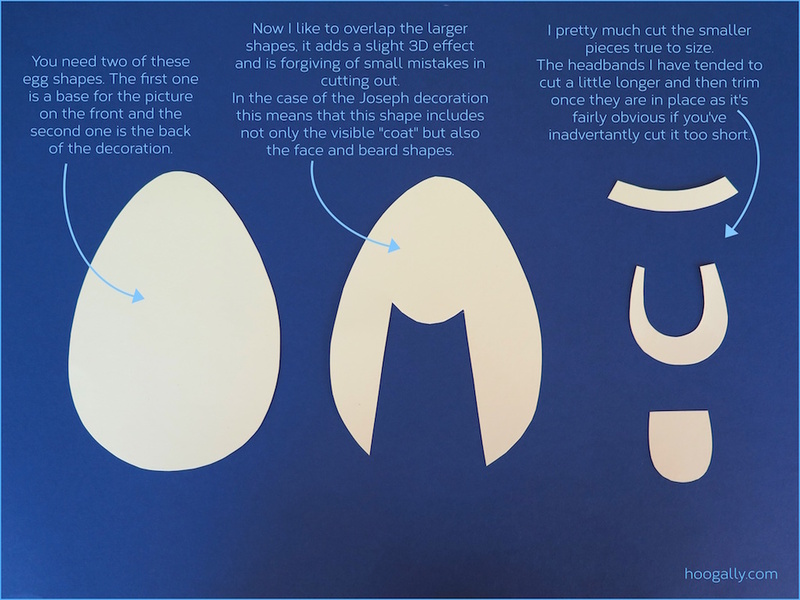 Sew the pattern pieces onto your first egg shape. I chose to use whip stitch to attach all of the pieces. As felt tends not to fray you could instead sew a line of backstitch or a simple running stitch along the edge of each shape. Now I didn’t sew around the outside edge of the egg shape at this stage, it makes it easier and neater to do that when you’re fitting the two egg pieces together later. If, however, you find the felt fidgeting a bit then you could just run some simple temporary tacking stitches around the outside to hold it in place. You could also use pins but I try to avoid this as I just end up stabbing myself as I sew. I’m sure you’re less clumsy than me and can handle this level of risk. 3. Attach the front egg shape to the back egg shape. You won’t need to turn the pieces inside out after sewing because there’s no inside seam. You just need to place the egg shapes on top of each other as they will appear when the decoration is complete. So the clothing, beards, faces etc need to be on view at the front. At this point you also need to put in place whatever you’re using to create a hoop to hang these guys by. I used some ribbon that I already had. The lack of fiddly turning inside out means that it’s a simple case of folding over the ribbon and placing it between the two fabric pieces where you want the hoop. You then need to join the two egg shapes by sewing around the outside and, when you get to the hoop, just keep sewing but make sure that your stitches catch the part of the hoop that is between your felt. This will anchor the hoop in place. Again, I used whip-stitch for this outer seam, but backstitch or a simple running stitch are options too. And remember to stop sewing your outer seam when you’ve got about two to three inches left un-sewn. Don’t sign off yet, stay away from any knots, this is just a momentary pause in the proceedings. 4. Stuff the figure and complete the outer seam. I used normal toy stuffing for the nativity figures, but found that wadding used for quilting worked better for the stable as it sat a bit more neatly. The choice is yours. You could even leave the pieces unstuffed particularly if the felt you’ve used is quite thick. So finally pick up that needle and carry on stitching around the outside, then finish off securely. See, it really is that easy. Your very own nativity characters. And a stable for them all. So now you know how to do it, are you going to stick with the characters and stable, or are you tempted to add a few accessories – perhaps a sheep for the shepherd or gifts for the wise man to bring? 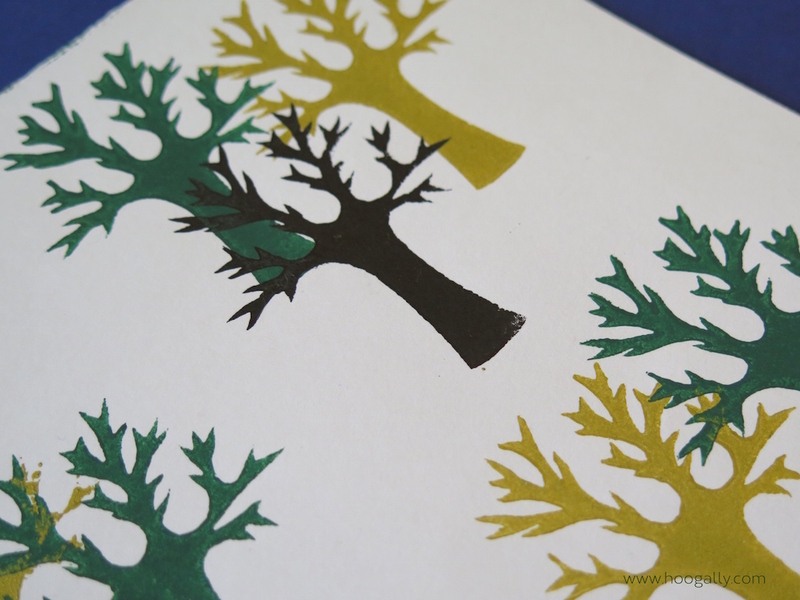 Might you downsize the designs to hang on your tree? If you’ve not room for the full ensemble, it would only take a small amount of juggling to make a single decoration out of the stable with Mary and Joseph. I’ve had a go at making a Nativity Decoration Pattern for this, in case you’ve only got room for a small number of visitors this year. It just goes with the caution that it’s untested as a pattern. But there’s no need to stop there, you could leave out the hoop and sew velcro on the back. Then attach matching velcro squares onto a firm board or fabric to create a “make your own nativity scene” as a gift for a child. I’d personally be tempted to opt for a dark blue background with a black silhouette of hills and palm trees, but really the sky’s the limit. Finally I’d hope that some of these designs would be simple enough for an older child to sew, with a little guidance along the way. Perhaps you could cut out the pieces for Mary, Joseph and the Stable and bundle them into little kits, as an advent craft to make with a child in your life. I’m sure there are many more nativity craft projects out there if you want to try something slightly different, but this is my take on it, my little bit of the Christmas story. They’re a little bit wonky in places, not quite perfect, but they bring a warm glow to me when I look at them. And really I’m often so occupied with getting Christmas “just right”, whether it’s perfect presents under a pristine tree, or the ultimate roast potatoes. But then I think about where it all began; two young people with nowhere to stay, shunned by their community while bringing their first child into the world. Suddenly, I find that stage managing my Christmas to within an inch of its life doesn’t seem quite so important. So I’ll be hanging my homemade, not quite perfect, nativity figures in pride of place in my home to help me remember that when you really get down to it, Christmas is all about love. So, let me be the first to wish you a Christmas filled with love and I hope that these little nativity figures help to bring a little more love into your home. In a departure from my usual needle and thread based endeavours I recently decided to try something a little different. A little off the beaten track, for me. 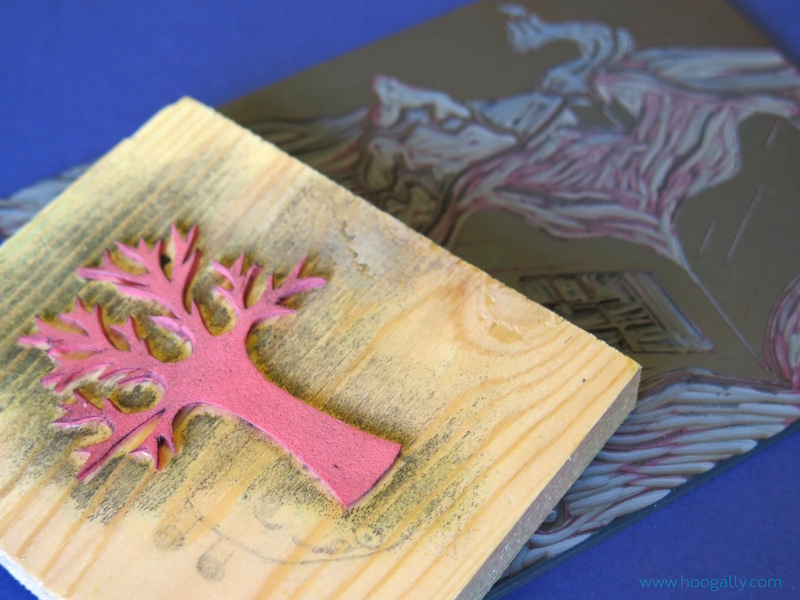 Being naturally cautious (and fearful of heights) I steered around the sky diving and bungee jumping and headed straight for a lino-printing and stamp-making class. Now there are some of you that will recall lino cutting from your school days, but not me. I have vague memories of there being lino cutting but I don’t specifically remember being entrusted with a foamy sheet and a sharp implement. In retrospect, and given my track record of accidents, this was probably a wise omission from my education. In any event, I can now highly recommend such off-piste crafty adventures. 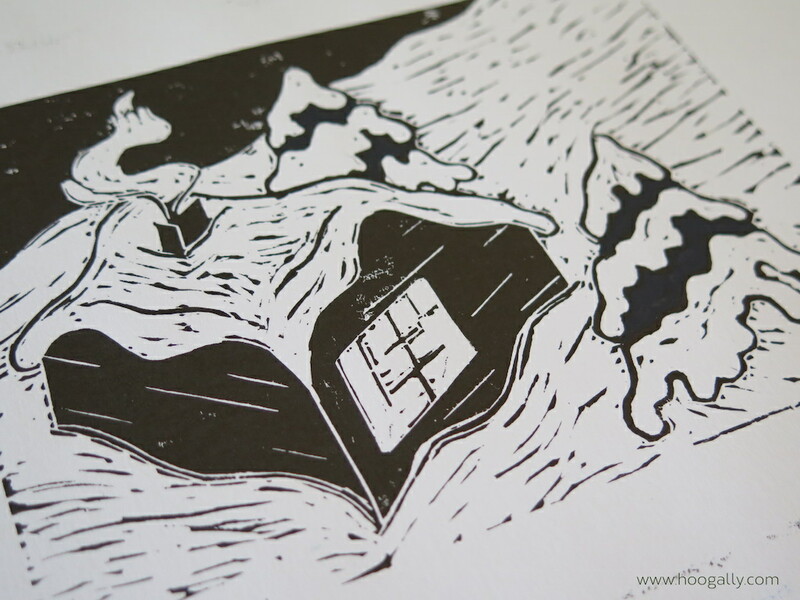 I loved experiencing the texture that lino-cutting affords you. I found myself having to really think about the spaces in my designs as much as the lines. So a fun day, a new skill experienced (though far from mastered) and a challenge to reflect on the spaces in my sewing, and my current under-use of texture. And in the meantime, here are the fruits of my efforts. So there’s been a bit of radio silence recently… a lot of radio silence really. It’s not that I’ve had nothing to say, but almost that I’ve had too much to say. There’s been returning to school and a birthday party. And the bittersweet bundling up of baby clothes to sell or pass on. A host of milestones which, although occupying the same places as they always do, seem to be increasingly separated by shorter and shorter periods of time. Which is why I find myself flanked by a boy growing alarmingly close to my own height, and a toddler with an ever increasing vocabulary and a surprisingly specific set of opinions. 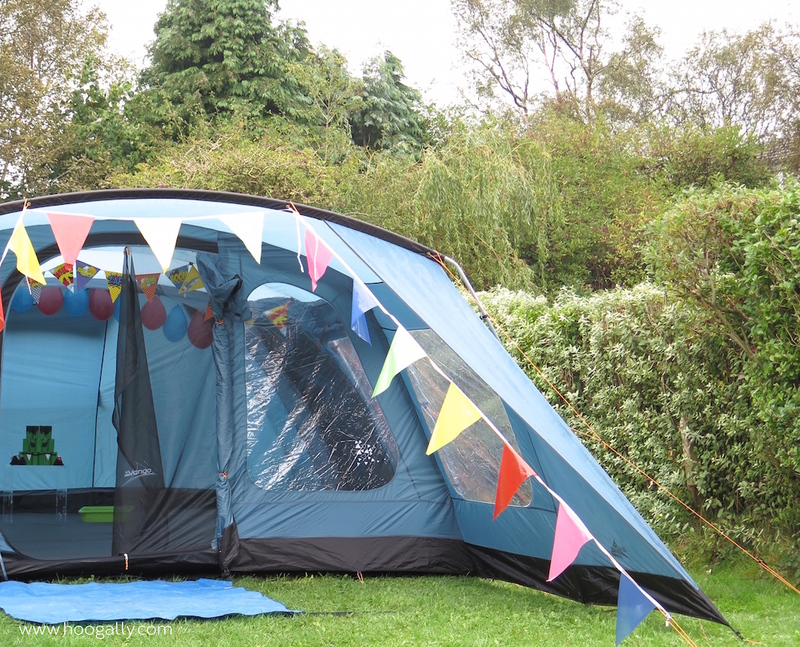 But the new school year is well and truly worn in, the balloons and bunting are tidied away and the proceeds of the baby sale are stashed away for holiday spending money next year. Ready to help us make new memories as we try to pause the frenetic passage of time for just a moment before it all begins again. 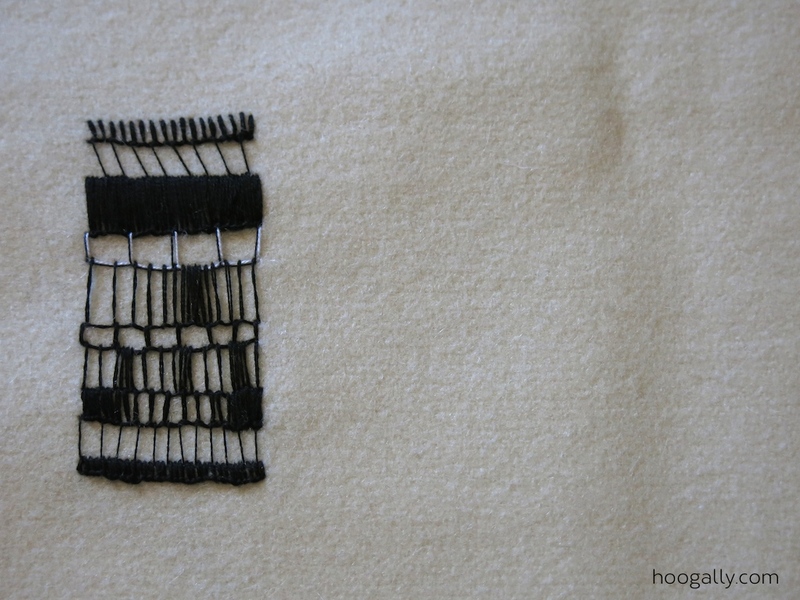 Well, I’ve been beavering away on a new embroidery project and here’s a teasing glimpse. But this has had to take a back seat while I worked on an entirely different endeavour that I will be sharing with you next Wednesday. Until then, I hope that you have a weekend that creates fresh memories filled with laughter and love. And so we’ve now got back into the routine of school runs and toddler groups again, I’ve finally had time to reflect on the summer. It’s been a good summer but a challenging one, balancing the needs of a toddler who couldn’t walk reliably and a five year old boy who could, the toddler who wanted to go out and DO THINGS and the five year old who wanted to play Lego or watch Scooby Doo (or a certain Dragon film). As a result of this juggling act, trying to keep all the plates in the air, my energy levels took a hammering, and my creative times did too. Which I find interesting because I’ve always said (and still believe it to be true) that being creative ‘feeds’ me. I think that this summer all my creativity went into making our days work and be fun. That said, we managed to be creative on one level, be it more dependant on wind and sun and soil than paper or thread. And managed to enjoy a bit of the natural creativity around us on a few trips out. But it was mostly dragons. Just dropping in to share about a blissfully peaceful and creative afternoon today at a sewing workshop with the talented Roanna Wells. A fantastic opportunity to think about incorporating spontaneity and abstract ideas into my sewing, given my predilection towards neatness and symmetry! I chose to try a bit of ad hoc exploration of a single stitch (see I’m talking the lingo already!). At first I wasn’t sure of the end result but I think it may be growing on me. Either way, I came home refreshed, challenged and motivated. 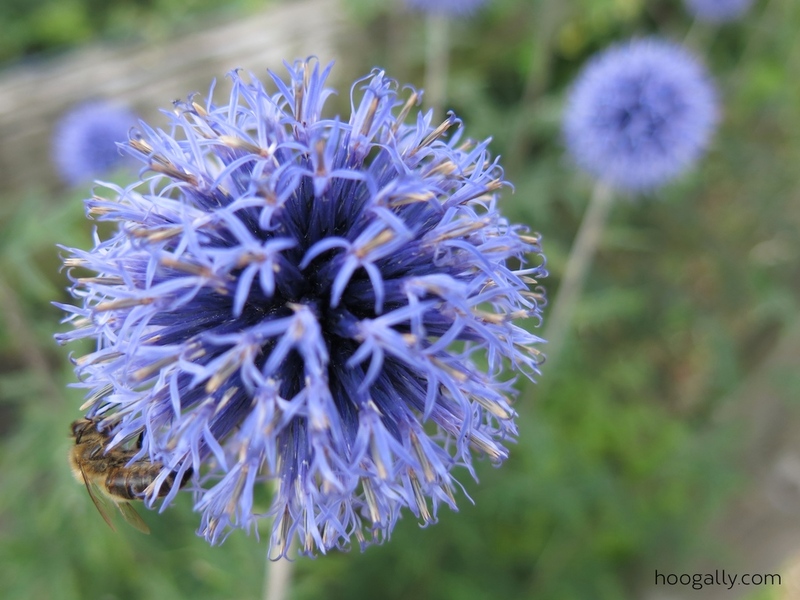 I’ll post more about the creative and chaotic exploits of the Hoogally household in the midst of mid-summer-madness. But for now I’m attempting to stay serene and unflustered!